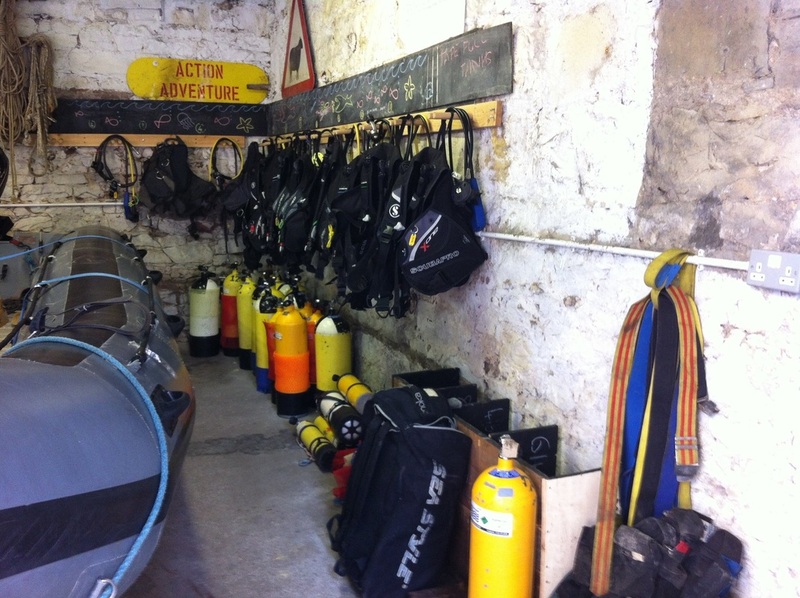 Scuba diving doesn't have to be costly. All members of EUSAC have access to our kit supplies. 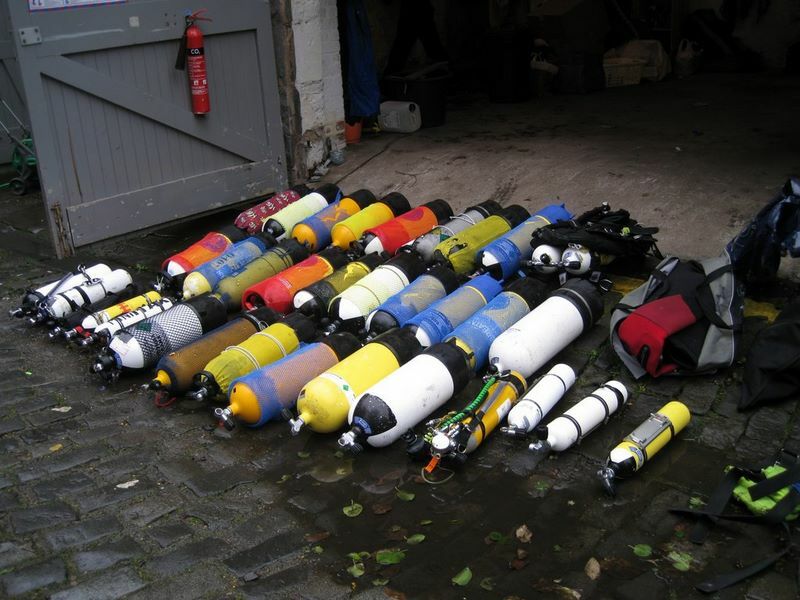 The vast majority of our club do not have their own air tanks, buoyancy jackets or regulators and instead use club kit. 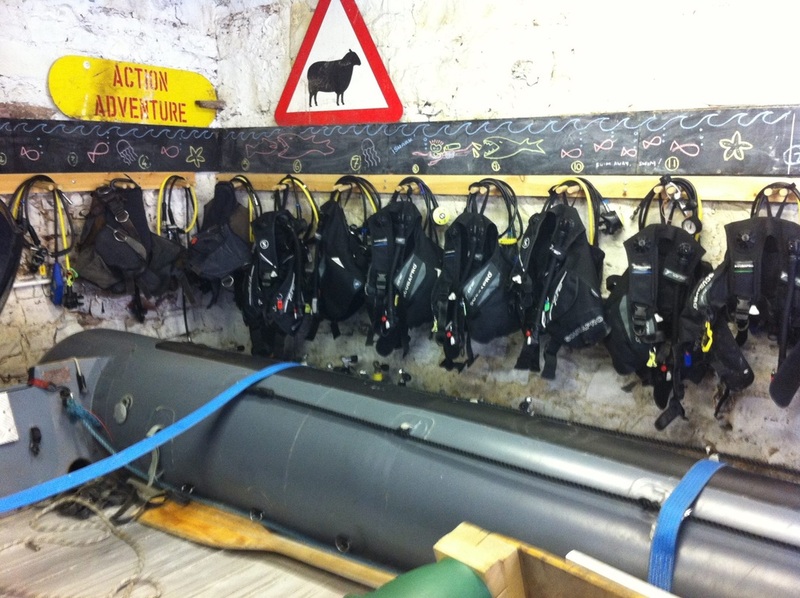 All of our kit is well maintained and available for a small kit charge, which can be paid through the club treasurer. Kit is our safety! Most kit failures are due to bad treatment or service. The club ensures that all club kit gets serviced regularly and frequently, according to manufacturers guidelines, by professionals. But it is responsibility of ALL kit users to look after it, treat it with respect and care, wash it after diving, and store it neatly and appropriately. Cylinders: Sizes of 10, 12 and 15 litres (water capacity). Rated to 232 bar operating pressure. All club cylinders (tanks) are steel (Faber). Lead Weights: 4, 6, 8, and 10 lb. Prices are subject to change. Other kit items may be hired depending on availability and fit. Damage charges will be applied on a case by case basis. Lead is free to hire, but if a weight belt is loss a fee of £60.00 has to be paid unless the weight belt jettison was done in an emergency. If on a day of diving, one dive is training and one is a fun-dive: you still have to pay for your BC and reg. Equally if you only do one dive. Kit for training is free for the instructor (and assisting ADIs), but not for the trainees involved. This only applies to training following the official BSAC syllabus. You must have a positive kit balance to go diving. One 5.8m Humber Destroyer RIB (Jura) with 115hp outboard engine. 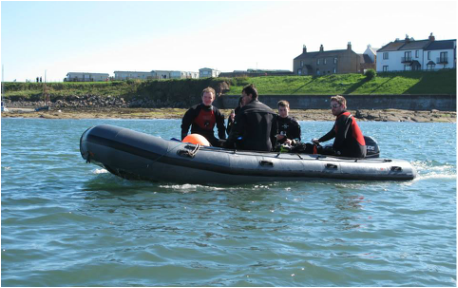 One 5.25m inflatable boat (Talisker) with 40hp outboard engine.